Under pressure from the United States, Mexico has tried to cut down the flow of Central American immigrants passing through on their way to the southern U.S. border. CIUDAD HIDALGO, Chiapas — The United States isn’t the only country — nor Texas the only state — with a long history of illegal immigration over a porous southern border. 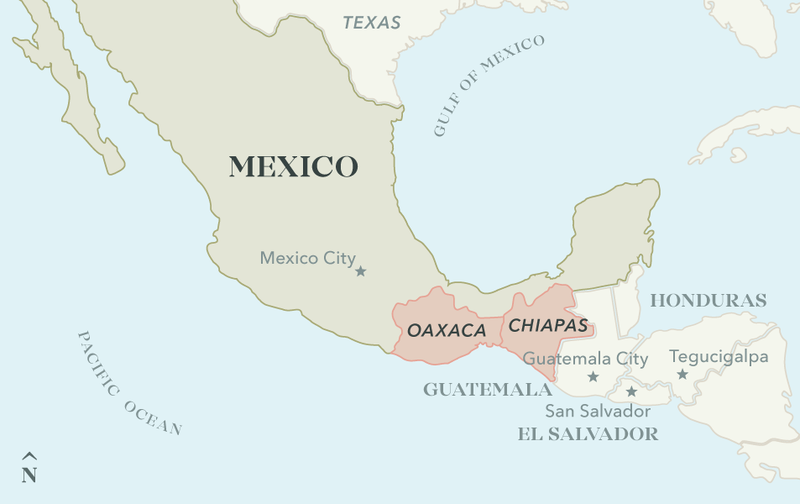 Where the Mexican state of Chiapas touches Guatemala, undocumented immigrants and smugglers don’t have to worry about a border patrol, customs agency or immigration authorities of any kind. They can hire a “balsero” — a rafter — to ferry them across the Suchiate River at one of dozens of informal crossing points. Or just walk across, particularly in times of drought. They do it in plain view of international authorities manning both sides of an official border crossing at Ciudad Hidalgo, a gritty little border town that sits across the river from another gritty little border town, Tecun Uman, Guatemala. On this stretch of the Suchiate, the trickle of legitimate border crossings and the 24/7 illicit trade co-exist in a state of mutual noninterference. Much of the unauthorized traffic is illegally traded goods — eggs, soda, toilet paper, you name it — crossing from Mexico into Guatemala, where trucks park along the riverbank awaiting their uninspected cargo. 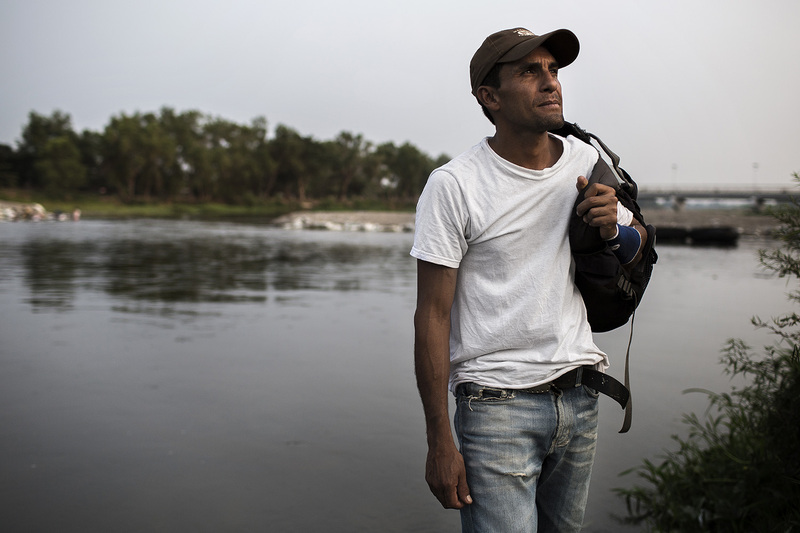 Migrants crossing the river on northward treks to the United States merely blend in with the day laborers and tourists pouring into Mexico. Given the vibrant-but-illicit trade and its considerable economic impact in these otherwise impoverished border towns, there’s no will to shut down the informal crossings, said Sergio Seis Cabrera, head of migrant affairs at city hall in Ciudad Hidalgo. The culture of impunity at Mexico’s southern border underscores the challenge of stanching the flow of Central American migrants, whose exodus from their homelands en route to the United States recently registered in a noteworthy shift in Border Patrol apprehensions: In 2014, for the first time since authorities started tracking it, more non-Mexicans than Mexicans were taken into custody at U.S. borders. The largest group by far: immigrants from Guatemala, Honduras and El Salvador — the so-called Northern Triangle of Central America — where murder rates have skyrocketed amid clashes between warring street gangs. During the last three federal fiscal years, from October 2013 through September of this year, more than half a million immigrants from those three countries were apprehended by the U.S. Border Patrol — a whopping 88 percent of them in Texas, figures obtained from the agency show. As unaccompanied children and sometimes entire families began turning themselves into the U.S. Border Patrol in South Texas by the thousands, policymakers in Austin and Washington, D.C. declared a refugee “crisis,” and the U.S. exerted pressure on Mexico to stem the flow by cracking down on its own southern border. Thus began the Comprehensive Plan for the Southern Border, or Plan Frontera Sur as the Mexicans call it, along with vows to push back the immigrants — many fleeing murderous street gangs — passing through Mexico to reach the United States. Two years later, it’s clear the balseros on the Suchiate River, and the immigrants who use their services, didn’t get the memo. Mexican authorities have demonstrably beefed up their presence beyond the border at numerous stationary and mobile checkpoints, and with increased raids and patrols along the routes migrants take northward. And they’ve all but shut down migrants’ use of the trains, popularly known as “La Bestia,” or “The Beast,” which once ferried multitudes of undocumented stowaways traveling from southern Mexico to the U.S. border. But immigrants and experts alike say the Plan Frontera Sur program has been ineffective at best. Though apprehensions and deportations of Central Americans inside Mexico skyrocketed last year, people keep trying, and the number making it to the United States is again on the rise in 2016, figures show. Rice University’s Baker Institute for Public Policy, in a recent paper entitled “Mexico’s Not-So-Comprehensive Southern Border Plan,” reported that Mexico shifted funding away from the program and has notably failed to follow through on its promise to create nearly 200 economic development projects in its southern border region. “Like similar policy initiatives previously implemented in Mexico, the [southern border plan] is fading into oblivion, but not without leaving negative consequences for Mexico’s migration policy,” the report concluded. What the Plan Frontera Sur has done is enrich the smugglers, who use bribes to move their clients north through Mexico. That makes the journey far more arduous and dangerous for those who can’t afford a smuggler guide, said Adam Isaacson, a regional security expert at the Washington Office on Latin America (WOLA). Hiring a coyote, local slang for smuggler, is the safest and surest way to get from Central America to the United States. But these days that can cost $9,000 to $10,000 a head, up from $6,000 to $8,000 before Plan Frontera Sur was implemented, according to WOLA’s late 2015 progress report on the Mexican crackdown. 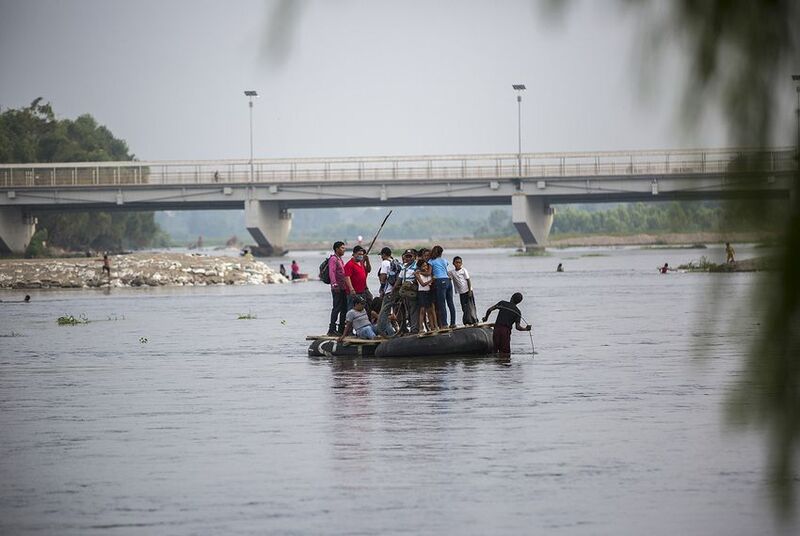 Despite the price hike, the director of the popular Amigos en el Camino migrant shelter in Ixtepec, Alberto Donis, said about two-thirds of the Central American migrants going to el norte are paying smugglers thousands of dollars to guide them. Erick Alexander Reyes, a Salvadoran immigrant with a ninth-grade education, isn’t one of them. Standing on the Mexican side of the riverbank after walking from the Guatemalan side to Ciudad Hidalgo in late April, Reyes said he’s never been able to save enough to pay a coyote. But he’s found ways to adapt. 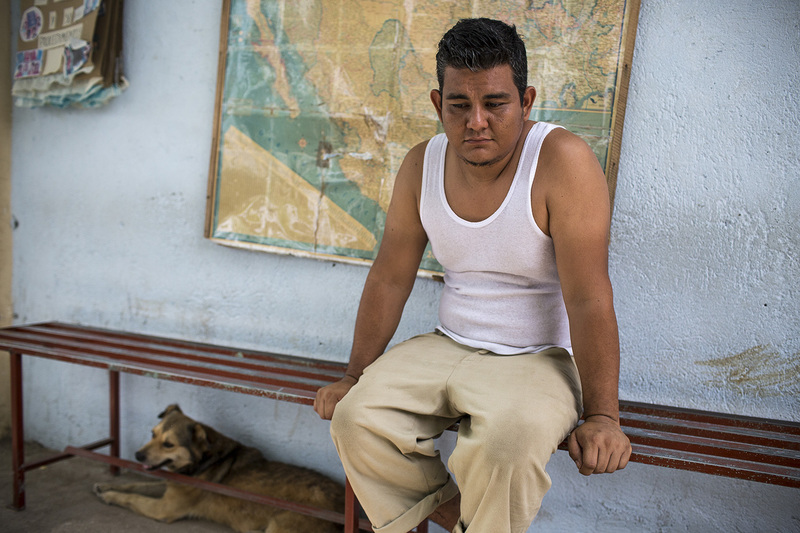 Reyes, 36, usually takes the first collective taxi out of Ciudad Hidalgo, in the wee morning hours when he says raids and inspections are uncommon. Then he gets off before the immigration checkpoints and walks around them. If he does get in a jam with the authorities, there is usually one sure way to get out of it. It’s a familiar complaint along the migrant routes going northwest from the Guatemalan border along Mexico’s Pacific coast. Now that “La Bestia” train is basically off limits, the immigrants traveling without smugglers typically wander from one migrant shelter to the next, slowly making their way toward the U.S. border and doing their best to evade checkpoints. Along the way, they often get robbed, shaken down by the police or assaulted by roving bandits. “The most salient critique about the [southern border plan] is that the program has made the journey through Mexico more perilous for migrants because it has forced them to seek alternative routes, many of which are more dangerous to traverse,” the Baker Institute report said. Alvin Jimenez, 28, another immigrant from violence-wracked El Salvador, discovered these new perils the hard way this spring. After traveling without incident almost 200 miles from the informal Suchiate River crossing at Ciudad Hidalgo toward a shelter in Arriaga, federal police caught him and several of his companions. He said he paid them 800 pesos in bribes, about $40, to let him go. It was everything he had. They were able to work for three days in the banana fields to make some of their money back. But then on the way to their next shelter, in Chahuites, the migrants in his group were trying to navigate around an immigration checkpoint at night when bandits appeared out of nowhere. He finally ended up at the shelter in Ixtepec. As of April, he was determined as ever to migrate to the United States — either to Houston or Los Angeles, where he has friends and family. He said staying home, where gang members have already tried to kill him, isn’t an option. Congress and the White House have publicly blessed Plan Frontera Sur as a way to turn around migrants before they can reach the United States. But of the $130 million the State Department has slated for border security in Mexico, only $20 million had been spent on the program as of February of this year, according to a spring report from the Congressional Research Service. Citing the recent rise in apprehensions of Central Americans at the U.S. border, the report highlights, in dry bureaucratese, the difficulty of stopping migrants from passing through Mexico as long as they continue to confront abject poverty and violence at home. “Experts warn,” the report intones, “that significant migration flows will continue until policymakers in the countries of origin and the international community address the poor socioeconomic and security conditions driving Central Americans to leave their homes." Reporters Julián Aguilar and Alexa Ura contributed to this report.